In a previous article, I shared with you how you can use insights on Facebook to measure your social media success. Turns out you can do the same for Instagram. Is your business on Instagram? Unfortunately, we still find some restaurant owners unwilling to invest their time and money into this wildly popular app. 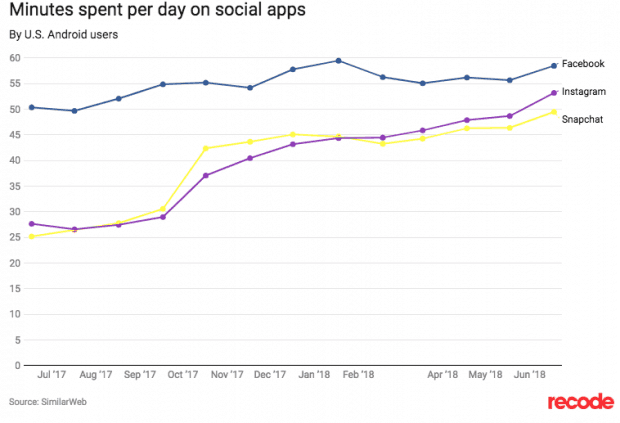 With roughly 1 billion monthly users, Instagram is quickly rising in the ranks among the top-hitting social media contenders such as Facebook and Youtube. Some may be surprised to find out that people are spending almost as much time on Instagram as they are Facebook. Instagram is perfect for restaurant and small business owners. 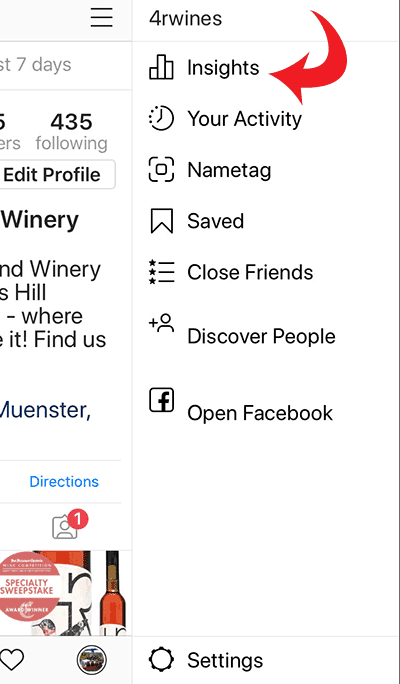 With about 80% of users following at least one business, it’s a great way to connect with your fans and attract new ones. Already have an Instagram account? First, you will need to make sure that your Instagram account is a business one. It’s the only way you’ll be able to access these important features and measure your success. There are two ways that Instagram measures performance – the account as a whole, or individual posts. Keep in mind that your whole account insights are more of a snapshot and only look at the last 7 days. 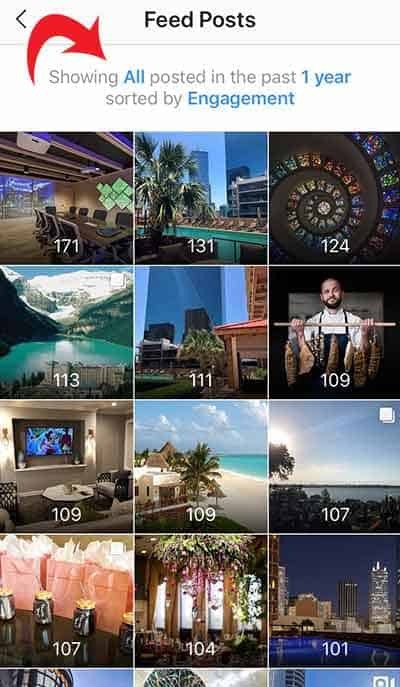 Instagram also doesn’t allow any export capability so looking at the overall performance isn’t the best way to measure if the content is connecting with your audience. This is why I’m going to focus on individual post engagement. 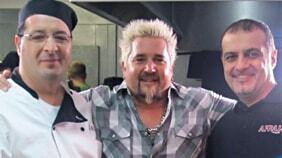 Just as I showed you with Facebook – it’s all about engagement. Similar to Facebook, Instagram engagement is measured by likes and comments but also by shares and saves. 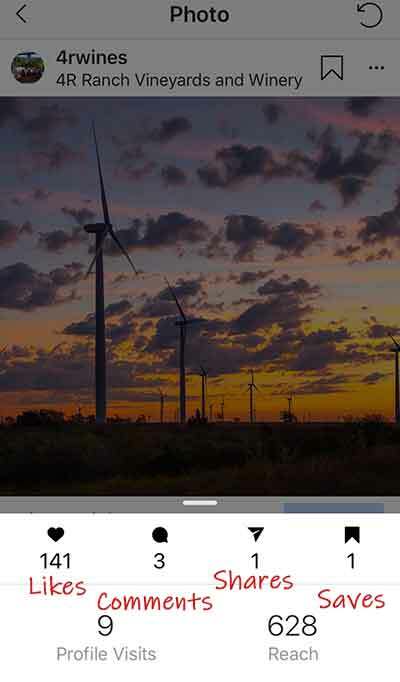 An Instagram user shows “like” by double tapping on the image. Likes are good – but comments are even better since it takes more time to comment and then you know your content is engaging with your audience. Same for shares and saves – your content was meaningful enough that the user wanted someone else to see it or wants to see it again for themselves. From your profile page, click the three lines on the upper right. This opens your settings menu. Click on Insights. 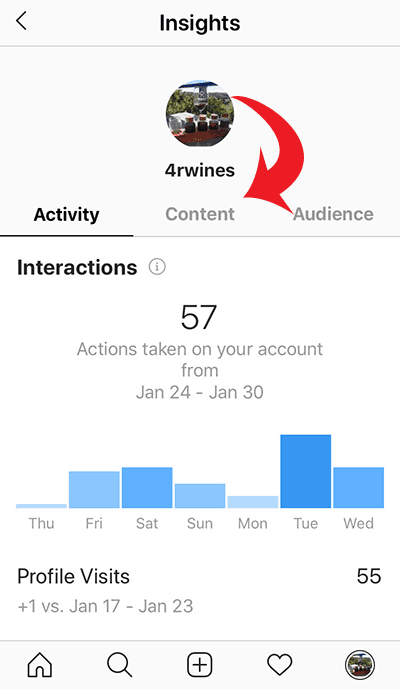 On your Insights page, you can select to see the overall Activity of your page, Content, or your Audience. Click on Content. Here you will see all posts filtered within a certain time frame by either Engagement, Follows, Comments, etc.). Click the top to change the filter to Engagement if not already. The number on the post indicates the total number of Engagement (likes, comments, shares, or saves) your post received. 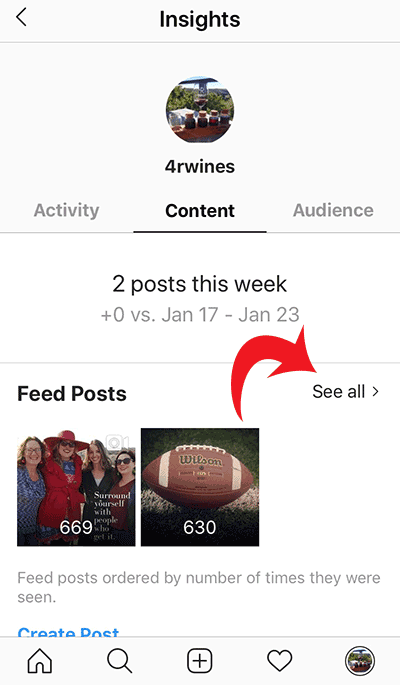 You can also click on the post individually and then View Insights for more information and to view the engagement numbers specific to the action taken. 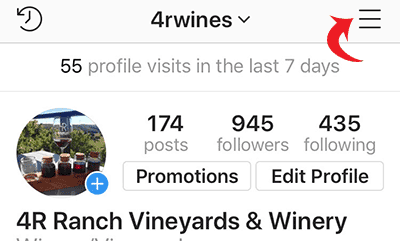 In the above example, the total Engagement of that particular post is 146 divided by total followers (found on your profile page) of 945 which equals 0.15. Multiplying by 100 gives us 15%. Double digit engagement rates in Instagram are phenomenal. Most influencers expect engagement rates around 3-6%. When looking at engagement rates you can better clearly see top-performing content and create campaigns based on what is working well. Don’t be afraid to experiment with different kinds of posts by using video, slideshows, etc. to find what works best for your audience. Don’t miss the opportunity to set goals as you develop your Instagram strategy. How much energy you put into your Instagram account determines the level of increase your engagement rate will grow over time. Give yourself a few months to visualize trends and don’t be discouraged if numbers fluctuate. 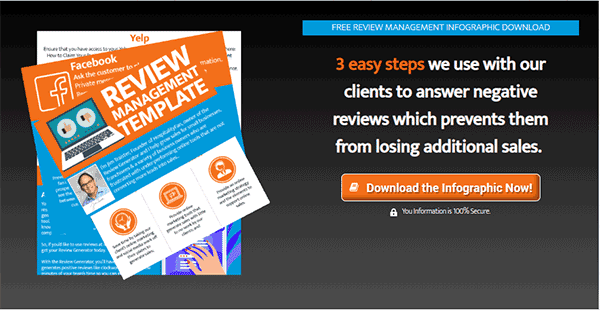 Looking to increase engagement via reviews? Click the graphic below to get our handy infographic and prevent losing future sales!